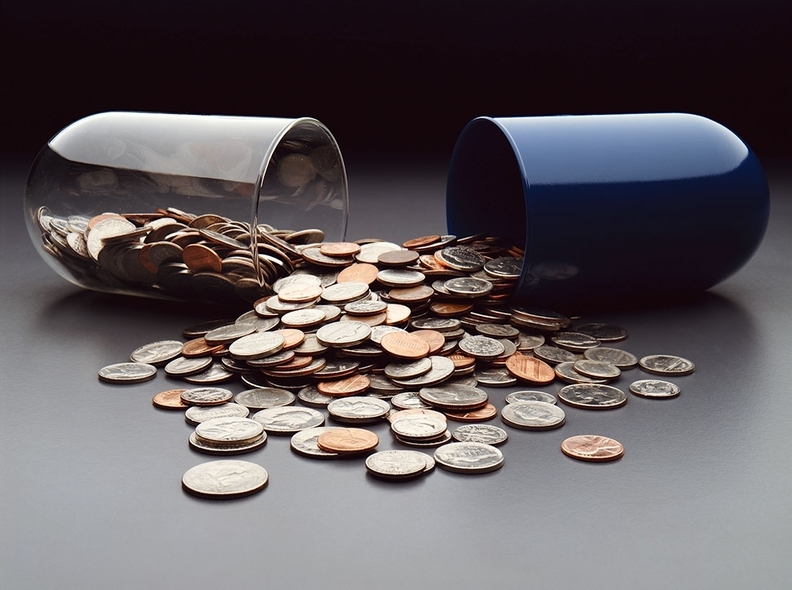 The American Hospital Association has launched a new effort it hopes will bring more transparency to the 340B drug discount program. Under the so-called 340B stewardship principle initiative, the trade association plans to encourage hospitals to release information on their 340B savings and what they usually do with that money. The move comes as lawmakers have been pushing for additional oversight of the program and the CMS has been cutting reimbursement for hospitals using the discount. "Most policymakers agree on the need to have more reporting and transparency in the way we manage the program and the benefits that we provide to communities, and we think we have a great story to tell," Rick Pollack, President and CEO of the AHA, said at news briefing Tuesday. The AHA has sued the CMS over a $1.6 billion cut to the 340B program. Pollack hopes the CMS will change course on the cut if the association's new effort sheds light on 340B spending. Pollack and hospital officials present at the event Tuesday said they also hope to stave off any legislation in the works to bring more transparency to the program as it would be redundant and may impose more administrative burden than necessary. Hospitals' lack of transparency partly stems from their lack of a universal approach to determine their annual 340B savings. Under AHA's stewardship effort, hospitals can use the trade group's method for calculating 340B savings. "By doing this I think that we're accelerating transparency," said Nancy Agee, president and CEO of Carilion Clinic, a seven-hospital system based in Roanoke, Va. "People want to be doing the right thing, they want to be sharing their stories and do it in a consistent way." The 340B program originally was intended for hospitals serving the poorest patients, but the program's size has exploded since 2004. Fewer than 200 hospitals participated in the 340B program prior to 2004, but now 1,046 hospitals participate. That represents 41.8% of all not-for-profit and public acute-care hospitals in 2015, according to researchers. Hospitals with higher income patients may also be taking advantage of 340B discounts, according to critics. Current regulation does not specify or restrict how hospitals can use money generated by the program, and 340B opponents claim hospitals can exploit the savings. Hospitals that join the AHA's stewardship initiative will commit to conduct internal reviews to ensure that their 340B program meets Health Resources and Services Administration program rules and guidance on appropriate use of the funds. That agreement includes regular and periodic training for their interdisciplinary 340B teams that include C-suite executives and pharmacy, legal, and financial assistance, as well as community outreach and government relations staff. Outreach efforts are just beginning and the AHA hopes to start getting commitments from hospitals by early next year to join the stewardship program, Pollack said. America's Essential Hospitals, the Association of American Medical Colleges, the Catholic Health Association, the Children's Hospital Association and 340B Health have all endorsed the stewardship proposal.